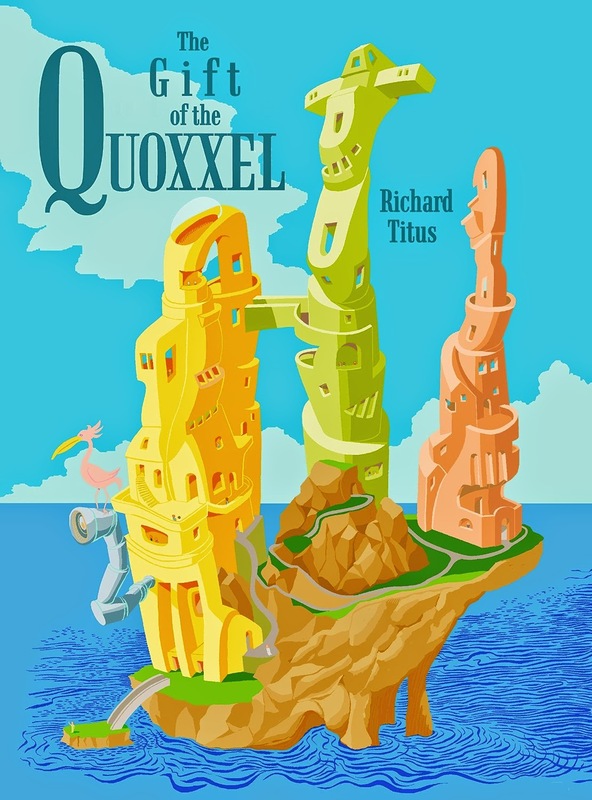 "The Gift of the Quoxxel" is teen/young adult book with a humorous, whimsical story that is sure to delight anyone wanting a light-hearted read. The plot follows two main characters, King Norr and Captain Gadd. The author, Richard Titus, has filled each scene with humor and quirkiness. The book is riddled with neologism, and the new words are defined in a glossary. Although the plot is interesting, the whimsical world and funny characters are the strengths of this book. King Norr is the character I liked most. While reading the book, I was reminded a bit of Alice and Wonderland. The book is expertly laid out, with bright colorful images at the beginning of each chapter. If you want a light-spirited, quirky book with funny characters that'll take you a few steps away from your day-to-day life for awhile, then this is the book for you.